One of the most consistent complaints about the healthier school-lunch standards is that more food ends up in the garbage can, but a three-year study says the opposite is true, at least in urban middle schools. "Overall, the revised meal standards and policies appear to have significantly lowered plate waste in school cafeterias," says the report of the study, conducted by the Rudd Center for Food Policy & Obesity at the University of Connecticut and published in the journal Childhood Obesity. It found that since the new standards have been in place, students have "consumed more fruit, threw away less of the entrees and vegetables and consumed the same amount of milk." The researchers tracked students at 12 urban, low-income middle schools in an unidentified "urban school district" for three years, from spring 2012 to spring 2014. 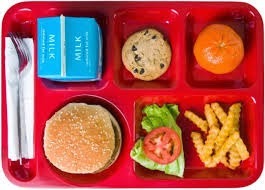 They analyzed students' food selection and consumption by photographing and weighing students' lunch trays. The 2010 Healthy and Hunger-Free Kids Act, which requires schools to reduce salt and fat; use more fresh fruits, vegetables and whole grains; and limit calories by age, was implemented in fall 2012. The standards are aimed at fighting child obesity. The study found that students ate more of their lunch entrees after the new standards went into effect, with 84 percent of students eating an entree in 2014, compared to 71 percent in 2012. It also found the share of students choosing vegetables dropped to 52 percent from 68 percent, but the students who chose vegetables ate nearly 20 percent more of them, "effectively lowering vegetable waste," says the report. The percentage of students choosing fruit "significantly increased" to 66 percent from 54 percent, with 74 percent of all students eating fruit. The study was funded by the Robert Wood Johnson Foundation and the Eunice Kennedy Shriver National Institute of Child Health and Human Development. 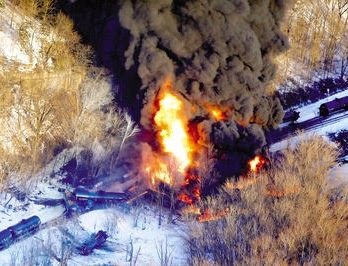 As firefighters deal with the third U.S. oil-train derailment in three weeks, Patrick Rucker of Reuters reports that "The Obama administration weighed national standards to control explosive gas in oil trains last year but rejected the move, deciding instead to leave new rules to North Dakota, where much of the fuel originates." 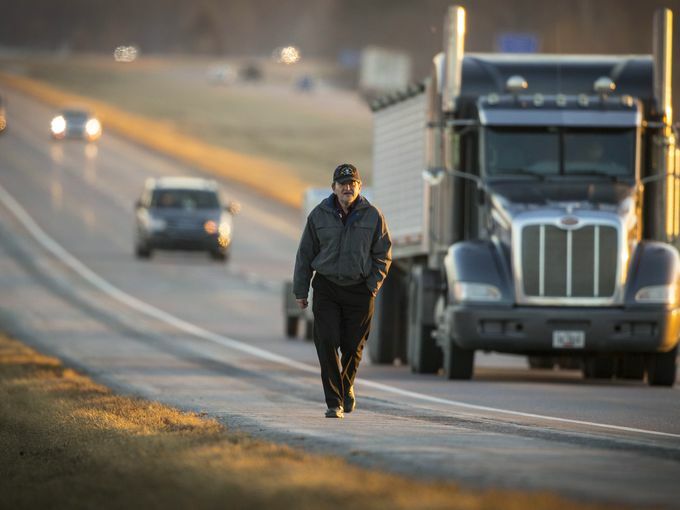 Rucker writes, "But a growing number of safety advocates say relying on North Dakota is not insufficient to regulate a product that is hauled thousands of miles of track and across many state lines. 'These trains are going all across the country so it absolutely has to be the feds who are in charge,' said Karen Darch, mayor of Barrington, Ill., where several oil and ethanol trains pass through her town weekly." "Current and former administration officials told Reuters they were unsure if they had the power to force the energy industry to drain volatile gas from crude oil originating in North Dakota's fields" as part of new rules for oil trains that are to be issued this spring, Rucker reports. "Instead, they opted to back North Dakota's effort to remove the cocktail of explosive gas, known in the industry as 'light ends', and rely on the state to contain the risk. North Dakota's regulations come into force next month." Mike Soraghan of Energy and Environment News has been on the cutting edge of reporting about earthquakes apparently related to injection wells used for disposal of wastewater from horizontal hydraulic fracturing to produce oil and gas. In a video, he discusses the new approach being taken by the Oklahoma Corporation Commission to permitting of disposal wells. The commission has started what it calls "yellow-light permitting," with extra restrictions and extra attention from inspectors, and the ability to shut down a well if it is deemed to have caused an earthquakes. "It makes it a little harder for the industry to permit wells," Soraghan said, but only disposal wells, not production wells. "A handful of wells have been shut down," he says, but the measure doesn't apply to existing wells. Soraghan also discusses his story revealing that scientists at the Oklahoma Geological Survey "suspected as far back as 2010 that a big swarm of earthquakes around Oklahoma City was related to oil and gas production, but they were not saying that publicly, and they rejected those findings when other scientists came out." He said one reason for that may have been that when the state seismologist started to agree with those findings, "He was called into meetings with the president of the university where he works," and in one meeting was Harold Hamm, chairman of Continental Resources, "a looming figure in the state." "California oil drilling regulators on Tuesday ordered operators of 12 underground injection wells in Kern County to halt injections out of fear that they could contaminate drinking water supplies," Rory Carroll reports for Reuters. "The action is part of a statewide review of California's 50,000 underground injection wells, which oil companies use to dispose of billions of barrels of undrinkable water produced every year during oil production." The state began its review "last summer after it was discovered that some injection was taking place into zones not approved by the U.S. Environmental Protection Agency under the terms of the Safe Drinking Water Act," Carroll writes. The operators of the wells will have to sample groundwater at the injection point for testing. "Environmentalists said Tuesday's order did not go far enough, noting that a report by the California EPA said the state Water Board has identified more than 200 injection wells of highest concern for potential risk to water supplies," Carroll reports. A federal appeals court has overturned a gag order in the case of controversial Appalachian coal operator Don Blankenship of now-defunct Massey Energy. District Judge Irene Berger's order "had sealed from public view most of the filings in the criminal case," Ken Ward Jr. notes for The Charleston Gazette, which was among several news-media organizations that appealed it. The order of the Fourth Circuit Court of Appeals was unsigned, indicating that Judges Roger Gregory, James Wynn, and Andre Davis concurred. 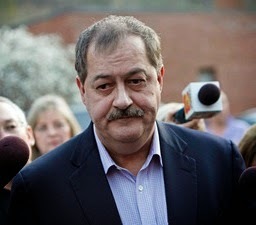 "Berger had entered the gag order -- without any request for such an order from either Blankenship or U.S. Attorney Booth Goodwin -- the day after an indictment was issued charging Blankenship with mine safety and securities crimes related to Massey’s Upper Big Branch Mine, where 29 miners died in an April 2010 explosion," Ward writes. "It was not immediately clear when court filings in the case would be unsealed." Rural water systems will need $140 billion worth of work "in the coming decades," but the federal programs that finance such projects are facing more than $1 billion a year in budget cuts, says a report from the Government Accountability Office, the auditing arm of Congress. The greatest need is among the the smallest water systems, "those serving fewer than 3,300 persons," the report says. Those systems serve about 8 percent of the population, "but represent nearly 83 percent of all systems with reported funding needs." "Because rural utilities are typically situated in areas with small and low-income tax bases, the GAO said, affordable user rates are not likely to cover the cost of major infrastructure projects or sometimes even basic water services," Whitney Forman-Cook reports for Agri-Pulse. 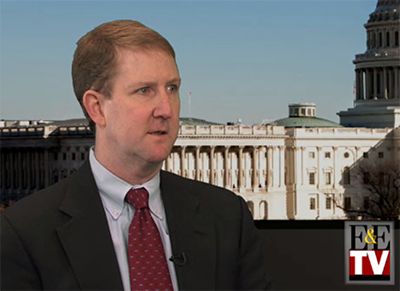 Agri-Pulse is subscription-only, but offers a four-week free trial. Materials to celebrate the 10th anniversary of Sunshine Week will be made available beginning Monday on the organization's website. Sunshine Week, which this year is from March 15-21, is a time to promote the importance of open government and freedom of information. National Freedom of Information Day is March 16, the birthday of James Madison, father of the First Amendment. In celebration of its 10 years of existence, the Sunshine Week website will provide high-impact stories, a video, commentaries, informational graphics and editorial cartoons from The Associated Press, The McClatchy Co., USA Today and Gannett Co. Inc. Some materials are already available on the Sunshine Week website. Sunshine Week 2015 is made possible by an endowment from the John S. and James L. Knight Foundation and by donations from Bloomberg and the Gridiron Club of Washington and its foundation. For more information about Sunshine Week, visit sunshineweek.org. Follow Sunshine Week on Facebook and Twitter, and use the hashtag #SunshineWeek. 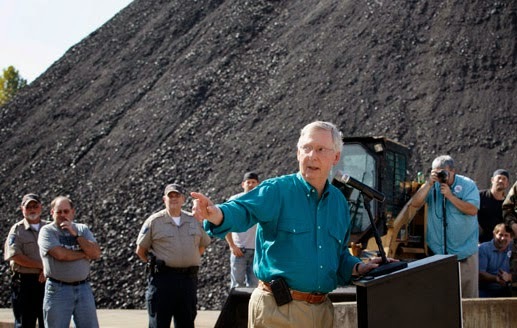 Senate Majority Leader Mitch McConnell, following a central promise of his 2014 re-election campaign in Kentucky, is asking states to "ignore a central part of President Barack Obama's plans to curb the pollution blamed for global warming," Dina Cappiello reports for The Associated Press from Washington. In an op-ed in Tuesday's Lexington Herald-Leader, McConnell "says states should reject Obama's proposed requirements for power plants to reduce carbon dioxide, the chief greenhouse gas," Cappiello writes. "The rule, expected to be final this summer, would require states to submit plans as soon as 2016, or risk being forced to comply with a federal substitute." "The regulation is unfair. It's probably illegal," McConnell writes. His office cites a Wall Street Journal op-ed by Harvard Law School constitutional-law professor Laurence Tribe, whom top coal producer Peabody Energy hired to analyze the rule. McConnell argues that states' ability to design their own approaches is "illusory. States report that the regulation's mandates are not technologically achievable, cannot be implemented under rushed timelines and threaten both state economies and energy reliability for families." McConnell says the rule "would have a negligible effect in global climate," but the administration says the U.S. must lead the way in reducing coal use. The Climate Action Council issued a reply from former assistant energy secretary Susan Tierney, who wrote in part: “Sen. McConnell’s harsh statements on the Clean Power Plan are not grounded in a factual understanding of the EPA’s proposed plan and fail to recognize the serious threats facing our public health and environment from carbon pollution. Contrary to Sen. McConnell’s claims, the Clean Power Plan allows states genuine flexibility in their efforts to reduce carbon pollution." UPDATE, March 9: The New York Times editorial board calls McConnell's move "reckless," "shocking" and "a travesty," and says his attitude is "woefully parochial." Former mayor Jim Sells, who bought the properties when they were in foreclosure, said they have been renovated and are ready to be occupied, Kruger writes. 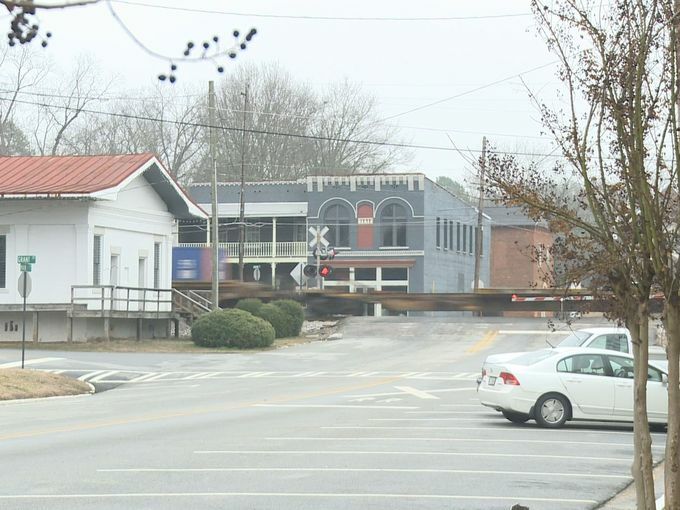 In addition to having appeared in "The Walking Dead," three films have said they want to film in Grantville, the Ebay listing said. Simoff typically walks fours per day, Munson writes. He sometimes gets picked up after an hour or two, but prepares for longer walks, sometimes six hours or longer. He told Munson, "First of all, when you got a family, and you've got a job you've got to be able to support your family. And you've got to keep your job—the most two important things I can think of." While Simoff's experience in similar to that of a Detroit man whose 21-mile walk to and from work recently made national headlines, the difference is that Simoff is walking in rural country, which makes him more visible than someone walking in an urban setting, and it has made people more likely to offer rides, Munson writes: "Simoff has cultivated a diverse patchwork of road friends in his on-and-off decade as southern Iowa's epic walker." Simoff's wife Renee told the reporter, "He can't go into the grocery store without seeing one of them." "Area Agencies on Aging, the local organizations created to deliver services particularly to low-income, minority and rural seniors, are seeing their waiting lists grow," Beamish writes. "They also are scrimping on home services, delivering fewer meals, providing fewer places for group meals and offering fewer social and recreational programs." 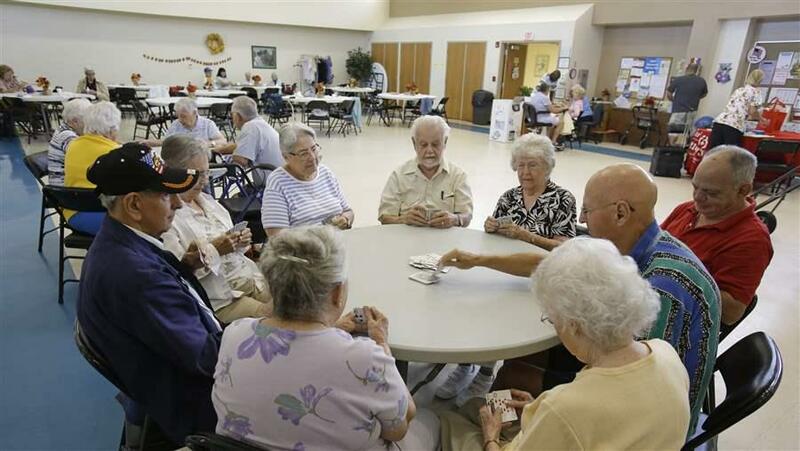 A survey by the National Association of Area Agencies on Aging found that "nearly two-thirds of 391 local aging agencies reported that their Older Americans Act dollars—which provide 40 percent of the funding for the average agency—had decreased since 2011," Beamish writes. The organization said money from states was mostly either down or flat. Sandy Markwood, the organization's chief executive officer, told Beamish, "It will not meet the needs of the current population of older adults and certainly won’t meet the needs of the generation of older adults to come." Senate Agriculture Committee Chairman Pat Roberts, R-Kansas, said he wants to overhaul federal nutrition requirements so that not only wealthy, urban school districts but also poor or rural ones can meet the meal standards, Philip Brasher writes for Agri-Pulse. "We need a program that works for all districts regardless of their location and access to resources," Roberts said while speaking to the members of the School Nutrition Association. He offered no details but got an ovation from the school food directors. The Healthy, Hunger-Free Kids Act, which sets the current standards, will expire Sept. 30. Roberts didn't specify how the bill will address concerns that the standards are too hard to reach. "While he said he intended to produce a bipartisan bill in committee, any push to weaken many of the standards will run into stiff opposition from Democrats and the White house," Brasher reports. Debbie Stabenow, the committee's ranking Democrat, has staunchly defended the standards. The White House and Republican-led Congress appear to be clashing again. The Obama Administration is threatening to veto a pair of Republican bills that would change "the way the Environmental Protection Agency uses science to justify regulations," Timothy Cama reports for The Hill. In Hayfork, Calif., the biggest obstacle for receiving health care is not a lack of health coverage but poverty and the availability of care, Daniela Hernandez writes for Kaiser Health News. The nearest clinic is in Mad River, about 30 miles down a mountain road. "We're down to the remnants of the medical personnel. It just came to the point where if I needed to deal with anything important I just felt much more comfortable going over to Mad River," Jeff Clarke, a 58-year-old with chronic Lyme disease, told Hernandez. Hayfork is one of 170 and one of about 3,500 nationwide "medically underserved" communities. Medically underserved areas typically have "too few primary care providers, high infant mortality, pervasive poverty or a significant elderly population," Hernandez writes. According to the National Rural Health Association, almost 25 percent of the U.S. population lives in rural areas, but only 10 percent of physicians work there. more than 30 years. (Photo by Heidi de Marco/KHN). 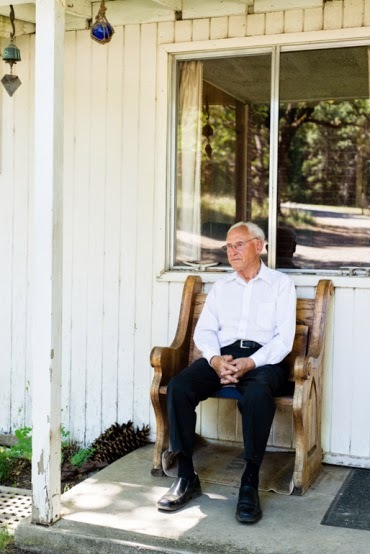 For decades, Hayfork had a general practitioner and a pharmacist. Dr. Earl Mercill, who often made house calls in the middle of the night and provided care for free when patients couldn't afford it, retired years ago, and now doctors rotating from Weaverville once or twice per week run his clinic. When they're not available, physicians' assistants run it, and patients have to travel by helicopter to get to a hospital when an emergency occurs. Traveling to the clinic is difficult because many people don't have a good car to drive or may even be unable to afford gas. "The median household income in Hayfork is about $34,000 per year, well below the statewide figure of about $60,000, according to the American Community Survey," Hernandez reports. A project in Missouri that launched today uses technology to connect specialists in Columbia with primary care physicians in rural and remote areas to provide those medical professionals with the necessary training to screen and recognize autism, Jill Deutsch reports for the Columbia Missourian. The Echo Autism project is a joint effort between the University of Missouri Thompson Center for Autism and Neurodevelopmental Disorders and Missouri Telehealth that aims to alleviate the long distances rural patients have to travel to Columbia to see a specialist. The project is part of a growing telemedicine movement in the U.S. that uses video conference technology to provide care to patients where they live. In Missouri "providers in more than 40 specialties and subspecialties serve 72 Missouri counties from 220 telehealth sites," Deutsch writes. "ECHO projects use similar videoconferencing technology, but with specialists providing instruction to other health care providers instead of providing care directly." Oklahoma Geological Survey scientists have suspected for years that the state's oil and gas operations were causing a rise in earthquakes but continued to publicly reject such claims until recently, Mike Soraghan reports for EnergyWire. 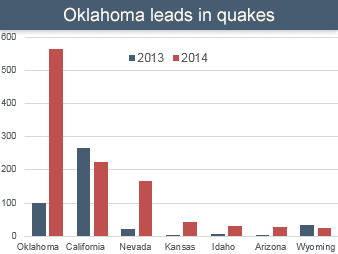 Oklahoma led the lower 48 states in earthquakes with 585 of magnitude 3 or higher in 2014, more than the state had in the previous 35 years combined. In an email obtained by EnergyWire, OGS seismologist Austin Holland wrote to a senior U.S. Geological Survey official: "Since early 2010 we have recognized the potential for the Jones earthquake swarm to be due to the Hunton dewatering. But until we can demonstrate that scientifically or not we were not going to discuss that publicly." Wolves in the region are protected under the U.S. 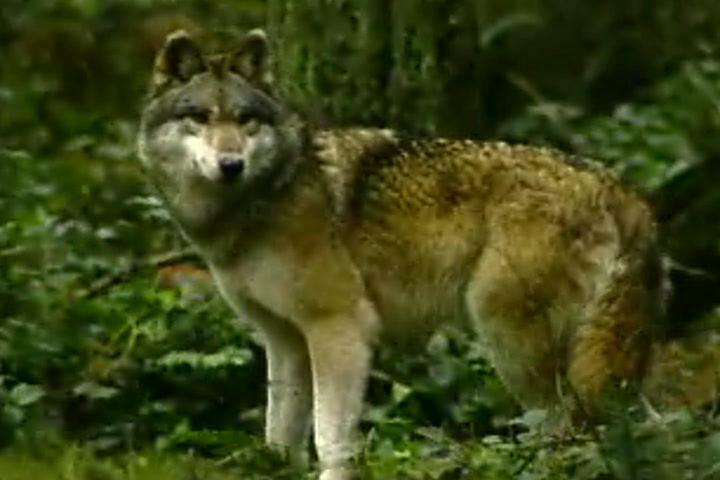 Endangered Species Act, "but the population in eastern Washington was stripped in 2011 of federal, but not state, protections, along with wolves in Idaho and Montana," Zuckerman writes. "The wolf that was killed in eastern Washington was one of just three breeding females in the state, where there are 13 confirmed packs, according to U.S. wildlife managers." The lawsuit against USDA, which refused to comment about the incident, "comes just weeks after conservationists asked a federal judge in Idaho to find Wildlife Services violated federal law while killing wolves, foxes and other predators in that state," Zuckerman writes. On Monday the U.S. Department of Agriculture announced that it has awarded more than $27 million in grants to fund pilot projects to help end childhood hunger in rural and food insecure areas in Nevada, Kentucky, Virginia and the Chicksaw and Navajo nations. The projects "are designed to test innovative strategies to end childhood hunger, including alternative models for service delivery and benefit levels that promote the reduction or elimination of childhood hunger and food insecurity," says a press release. "An independent evaluation will accompany this project to measure impact and identify successful strategies. The projects will be evaluated primarily based on their ability to reduce food insecurity among children." Kentucky: The Commonwealth of Kentucky will implement the Ticket to Healthy Food Supplemental Nutrition Assistance Program Demonstration, which will test the impact of providing households with children an additional transportation deduction that may increase their SNAP benefits. The project will serve the Kentucky Highlands area in the southeastern part of the state–a designated Promise Zone. Grant amount: $3.6 million. The industry says they are just protecting their interests by keeping tabs on potential threats. But anti-fracking activists disagree, Cusick writes. Wendy Lee, an anti-fracking activist and philosophy professor at Bloomsburg University of Pennsylvania, said a state trooper visited her and asked her about eco-terrorism and pipe bombs in connection with an alleged trespassing incident. Lee said she visited a gas compressor in Pennsylvania but remained on public land and left when told to be by security guards. She told Cusick of the trooper's visit, "They're clearly there to send the message that they protect the industry." The Pennsylvania trooper, Mike Hutson, declined to comment for the story, but an open records request revealed "that he is part of a broader intelligence-sharing network between the oil and gas industry and federal, state and local law enforcement called the Marcellus Shale Operators' Crime Committee," Cusick writes. Similar partnerships exist in Texas and the Rocky Mountains, and some of the biggest drilling companies work closely with FBI task forces to monitor potential threats. Jim Beiver, a retired Pennsylvania State Police trooper who worked as an investigator, said people without criminal records can still turn to violence, Cusick writes. He told Cusick, "We always tried to maintain the balance of gathering information, doing our job and keeping in mind the rights of the people—keeping in mind the Constitution." 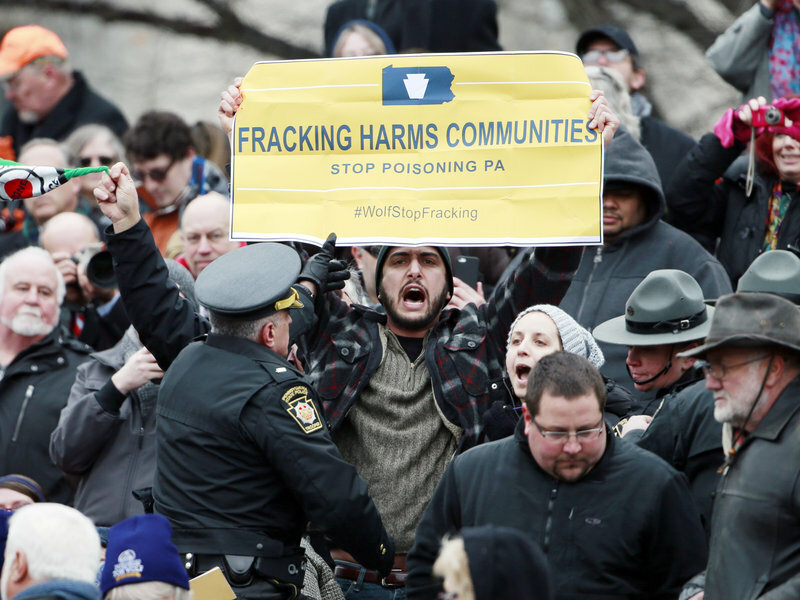 But although there have been reports of pipe bombs, charred debris and gunshots fired at gas sites in Pennsylvania none of those incidents have been publicly linked to activists. PNC Bank announced on Monday in its 2015 Corporate Responsibility Report that it "will substantially cut its financing of coal companies that practice mountaintop-removal mining," Justine McDaniel reports for The Philadelphia Inquirer. "The bank will not extend credit to coal producers with 25 percent or more of their production from mountaintop-removal mining, the report says. Its previous policy excluded only producers for which mountaintop-removal mining was the majority of production. PNC also will not finance individual mountaintop-removal mining projects, continuing a policy implemented in 2010." Officials in a small town in southwest Virginia are trying to come up with ways to steer residents away from a "Walmart mentality" and convince people to support local businesses, Laurence Hammock reports for The Roanoke Times. While the town of Buchanan (Best Places map) is home to only about 1,200 residents, most of them work outside the city limits and do their shopping on the way home from their jobs in urban center Roanoke or Lexington, home to 7,200. "So the trick will be to find ways to lure new visitors to Buchanan, while also securing more basic services—a grocery store, for example—for the people who live here," Hammock writes. "As the town looks to develop niche markets, one that already exists received national exposure in late January, when Fodor’s Travel named Buchanan one of the 10 best antiquing towns in the United States." The problem is that one of the town's six antique stores has already closed and the others keep sporadic hours. The area is big on adventure tourism—one local business drew 12,000 visitors last year—90 percent from outside the area—for rafting, canoeing, kayaking, tubing and camping, Hammock writes. That's how officials hope to draw tourists then keep them around with other attractions. John Mays, co-owner of the adventure tourism business, told Hammock, "These are trying economic times for any town. But we’re trying to make Buchanan a happening place, versus a place that’s starting to wither." In 1935, farmers made up more than 5 percent of U.S. citizens, but the economic, demographic and political landscapes have changed, Sara Wyant writes for Agri-Pulse. Now farmers represent less than 1 percent of the U.S. population. Their number dropped 4 percent between the Department of Agriculture's Census of Agriculture in 2007 and 2012, from 2.2 million to 2.1 million. Also, rural counties are losing citizens; since the mid-1990s, non-metro area population growth has been slower than it is in metro areas. In 2013, 46 percent of non-metro counties decreased in population, while only 17 percent of urban counties decreased. It is challenging for farmers to reach out to consumers and politicians who live in cities. Do these shrinking populations also mean reduced political influence for farmers and rural people? Every state still has two senators, regardless of population, notes Kyle Kondik, managing editor for Sabato's Crystal Ball at the University of Virginia Center for Politics. "So states that are rural have more power than they would if Senate seats were handed out proportionally by population," he said. "That inherently gives agriculture and farmers a bigger say in policy than they otherwise would have." Even though farmers and ranchers have decreased in number, they still have significant influence, Wyant writes. It's important to remember that the "center of gravity for Democrats has moved to the cities," said Ferrel Guillory, the director of the Program on Public Life and journalism professor at the University of North Carolina. Because most rural white voters in the South are Republican, Guillory said, "They can form coalitions with business and professional people and control much of the South." Farmers and ranchers tend to align with other like-minded groups, strengthening their influence. Well-coordinated efforts by an interest group—such as farmers, ranchers, food workers or teachers—could "push a candidate over the top," Wyant writes. Farmers are also a dependable voting group and are likely to show up to vote, said Al Cross, director of the Institute for Rural Journalism and Community Issues (publisher of The Rural Blog) and associate extension professor of journalism at the University of Kentucky. Though farmers will have political influence, their declining numbers may become a concern for another reason: They help produce the food that feeds the world. Because the average American farmer is 58.3 years old, Agri-Pulse invited readers to submit comments about bright young people they've met who work in crop and livestock operations. Two primary concerns came across in what these young people had to say: providing a food source for the world and spreading the word about agriculture and rural America. That is why many young farmers are taking leadership roles "on commodity boards, in farmer organizations, in politics," Ann Tracy Mueller writes for Agri-Pulse. Farming isn't a 9-to-5 job, so finding the time to serve in these leadership positions can be difficult. "You may think you don't have time today, but you'll have time when you're regulated out of business," Michele Payn-Knoper, a professional speaker and registered Holstein breeder, told Mueller. "In many areas, programs are in place to identify future leaders and offer them opportunities to learn and grow," Mueller writes. Through agricultural leadership programs, "many of these young people have had the opportunity to develop their leadership potential, learn about struggles in agriculture, visit Washington and travel overseas to learn about global agriculture or trade." Vena A-dae Romera, an attorney who farms with her family in New Mexico and Hawaii, said, "Regardless of the changing demographics, farmers and producers will always have a 'power' that is unyielding. . . . It's a matter of expressing that power and influence," Mueller writes. 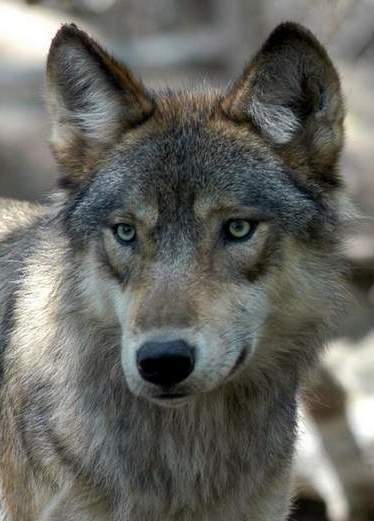 Fish and Wildlife Service spokeswoman Laury M. Parramore said that "the science clearly shows that wolves are recovered in the Great Lakes region, and we believe the Great Lakes states have clearly demonstrated their ability to effectively manage their wolf populations," Flesher writes. One of the first big summits for Republican presidential hopefuls will occur on Saturday at the inaugural Iowa Agricultural Summit. The man behind the summit is Bruce Rastetter, who has not so quietly emerged as one of the biggest—and most powerful—donors of the state's Republican party, Mike Kilen reports for The Des Moines Register. The agribusiness entrepreneur and president of the Iowa Board of Regents has given more than $1.1 million in state political contributions since 2003 and has a close personal relationship with Republican Gov. Terry Branstard. "Rastetter's name is synonymous with fights as a leader in three tender subject areas in Iowa—large-scale agriculture, ethanol production and education funding," Kilen writes. "The National Journal recently wrote about him with the headline, 'When This Man Calls, Republicans Come Running,' accompanied by a photograph of a herd of elephants." "So why should he have any greater voice in choosing our elected officials than the regular Joe?" Kilen writes. Rastetter told Kilen, "Everyone can have an impact on our political system in different ways. I see a ton of activists who don't give significant dollars that still have a great impact. One of the reasons I give is to help those candidates be successful. I don't give to get access. There has never been a Bruce Rastetter bill in the Iowa Legislature that has benefited me. I always believe you support industry-wide incentives and the whole industry benefits." While Rastetter has donated millions to state colleges and been outspoken against rising tuition costs, some have accused him of supporting big business at the expense of small farmers, Kilen writes. "Small farmers and environmental groups led fights against hog confinements, saying they fouled the air and land and made parts of rural Iowa uninhabitable. Rastetter was front and center of the fight. Hog confinements and their smelly manure spread around Iowa while Rastetter built wealth, said Hugh Espey, executive director of Iowa Citizens for Community Improvement, which owes much of its growth as a nonprofit activist group to burgeoning opposition to hog confinements." 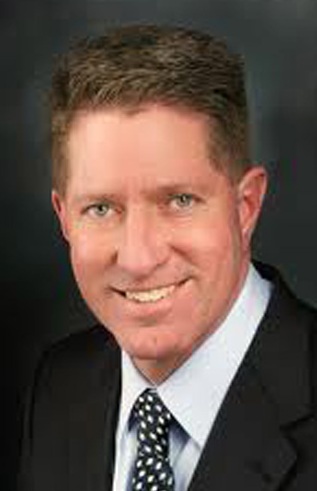 "Rastetter 'destroyed the confidence in the corporate pork industry among Davis County residents,' said Francis Thicke, a former candidate for Iowa Secretary of Agriculture and a longtime advocate for sustainable farming practices," Kilen writes. Garry Klicker, whose land was adjacent to some of Heartland's confinements in Davis County, "said Rastetter held meetings that promised an increased tax base, productions with little smell and a rising price for local farmers' corn. 'Everything he told us was a lie,' he said, contending the confinements stunk so bad that he had to move to Colorado for health reasons and that Rastetter trucked most of his feed to Davis County from his own mills." In a major win for freedom of the press and open government, the Sunlight Foundation last month won a request from December 2013 for access to agency Enterprise Data Inventories, which are "comprehensive lists of a federal agency’s information holdings, providing an unprecedented view into data held internally across the government," Matthew Rumsey, Sean Vitka and John Wonderlich report for Sunlight Foundation. The information, released on Saturday, includes data from the Department of Veterans Affairs, the Department of Labor and the Environmental Protection Agency, Sunlight Foundation communications director Jenn Topper said in an email to The Rural Blog. "This release highlights hundreds of datasets that have not previously been indexed, as well as those publicly identified for the first time." "The newly released index of VA datasets includes 129 that are currently withheld from the public, in addition to 770 that are already published," Topper writes. "However, the fact that the VA holds vast troves of other information not yet included shows there is still much work to be done." Data also reveals hazardous conditions complaints provided by the mining industry to the Department of Labor, Topper writes. "The Department of Labor’s index also includes a number of internal financial datasets (related to congressional appropriations, outlays and more) that we expect to be opened up eventually in compliance with the DATA Act." Also included are an Office of Personnel Management database and platform for tracking congressional inquiries. OPM also has a database of vendors it has hired to hold leadership trainings for federal employees. Recently released data can be found by clicking here. West Virginia has 1,120 mine shuttle car operators, 76.9 times more than would be expected based on the national average. Mississippi has 16.8 times more upholsterers, while Oregon has 40.2 times more logging workers and Louisiana has 20 times more riggers. 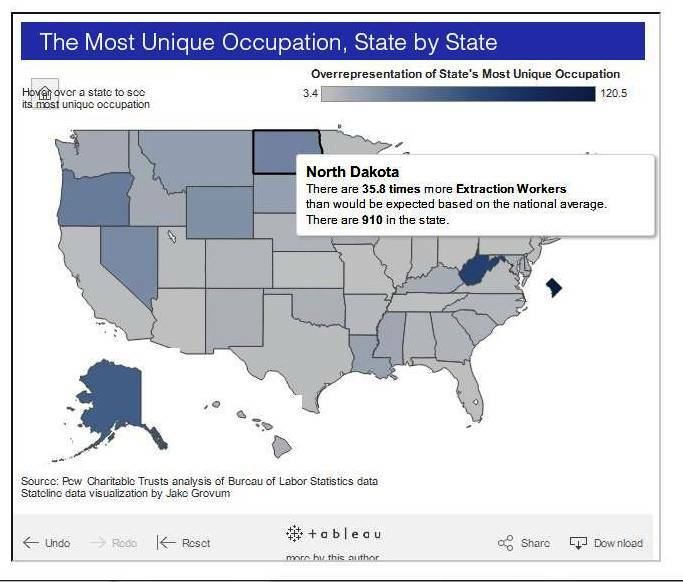 These numbers are part of a study by Pew Charitable Trusts using Bureau of Labor Statistics data about the most unique jobs in each state, Jake Grovum reports for Stateline, which is published by Pew. 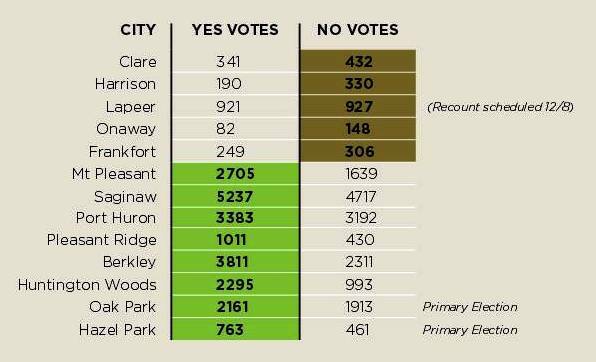 How did pro-marijuana advocates help eight small towns in Michigan win primary and general election measures to legalize marijuana? By thinking small in order to get big results, reports CQ Roll Call. It requires 250,000 signatures to get a statewide referendum on the ballot at an estimated cost of $1 million in campaign financing. "Advocates say that statewide support in Michigan, which is home to nearly 10 million people, needs to poll close to 60 percent to attract well-financed backers. And those polling numbers, they say, are simply not there yet," hovering around 50 percent. So, advocates strayed away from a statewide push and concentrated on small towns, reports CQ. "Michigan law allows an initiative to be put on the ballot in individual cities by obtaining signatures from 5 percent of registered voters. While this is a tall order in a large city with hundreds of thousands of residents, it is far more achievable in smaller municipalities." The rural-urban gap in North Carolina has been growing in recent years, with the majority of state funds for new businesses going to companies that build in urban areas, Gary Robertson reports for The Associated Press. As a result, a high percentage of new jobs are in the Charlotte and Raleigh-Durham areas. That has helped those areas grow to representing 20 percent of the state's population, which has helped them gain a stronghold in the state legislature. But because a large number of Republican rural lawmakers won elections in 2014, tides could be turning. Rural lawmakers are questioning why the state's unemployment rate has fallen to 5.5 percent, while most rural areas are at or above 7 percent, Robertson writes. Rural Sen. Andy Wells (R-Catawba) told Robertson, "There’s not a rural-urban split. There’s a Raleigh-Charlotte versus anybody else split." The debate is expected to heat up this week "over an economic incentives package filed in the House and sought by GOP Gov. Pat McCrory," Robertson writes. "The awards cap on Job Development Investment Grant awards, the state’s primary economic incentives tool, begun in 2003, rises in the measure. That’s something McCrory says he needs to compete with other states in recruiting big business. But non-urban lawmakers surely will notice 86 percent of the monetary value of JDIG awards has gone to companies building in Mecklenburg, Wake and Durham counties in the past two years, according to legislative staff." Kansas State University has established the Center for Rural Enterprise Engagement "to help small businesses succeed through new media marketing research," says the school. "The center's objectives are to generate research-based knowledge related to new media technologies and rural enterprises while offering hands-on research experiences for graduate and undergraduate students in an effort to serve as a source for local, regional and national rural enterprises and others involved in improving rural life." That could present a problem for concerned citizens weary of an encounter with a bear. 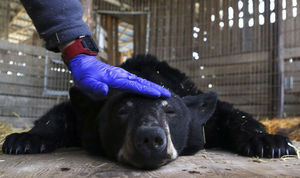 The Virginia Tech University Bear Research Center receives between $30,000 to $50,000 per year, mostly from the Virginia Department of Game and Inland Fisheries, to study bears, Moxley writes. "The center, which opened in the late 1980s, is the only such facility in the state. Game officials trap bears in the fall as they forage to build up fat for winter hibernation and bring them to the center for study."